Julabo AWC100 Compact Air to Water Recirculating Cooler . 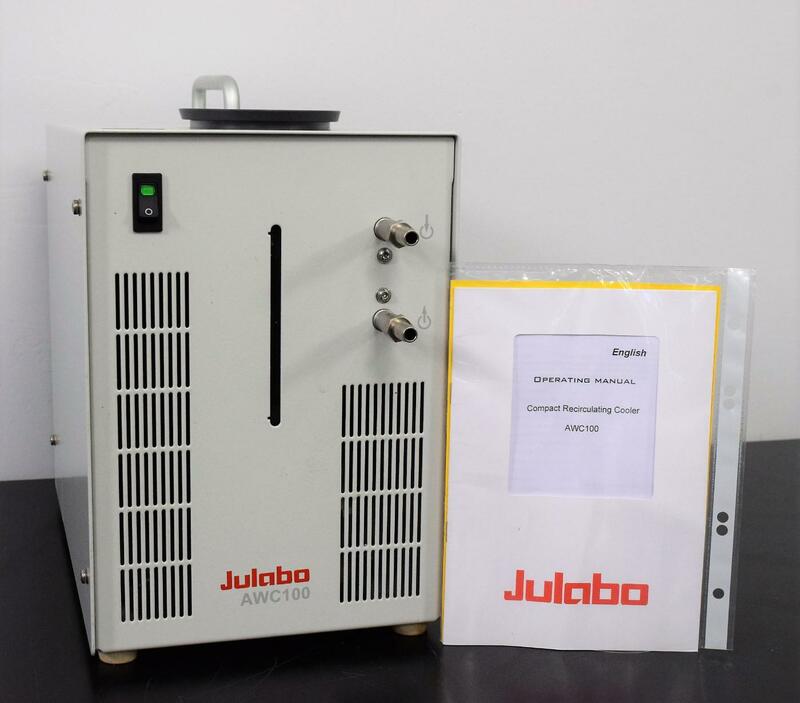 New Life Scientific, Inc.
Julabo AWC100 Compact Recirculating Cooler, Easy to Use, Quiet and in Excellent Cosmetic and Working Condition. This cooler is virtually noiseless, easy to operate and economical. It is designed to remove small heat loads from external systems such as from Peltier-elements. The ventilator speed can be increased by changing the switch for booster cooling on the rear of the unit. We realize that buying second-hand instruments can be unnerving, we have thoroughly tested this cooler and offer a 90-Day Warranty to protect you against any equipment failure or defects.